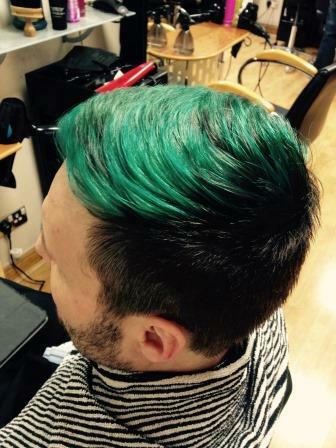 Steve Ware has dyed his hair forest green to raise funds to help save tropical forest. Here he tells us why he goes out of his way to raise funds for World Land Trust (WLT). I support several environmental charities but the one I feel the most passionate about is World Land Trust. I cannot think of anything more important for humanity to do doing right now than saving the world’s ecosystems and the flora and fauna contained within them. When I hear this response I always reply “so do I”. That’s because, if the human race is to survive, then preserving the natural world, and educating people about why its continued existence is intrinsically linked to ours, is vital. Despite the absolutely amazing work that WLT does every day, I am often saddened by the sheer magnitude of deforestation and destruction that’s taking place across the planet. Sometimes it’s hard to see how we are ever going to tip the scales back when we are bombarded with unbelievable statistics and shocking images of our beautiful planet being laid to waste by greed and short-sightedness. But then, when I see how far other people are prepared to go individually to raise money and awareness, it makes me think of yet another crazy thing I can do to help make a difference. Last year I did 1,000 push-ups for WLT. This was the third time I have done sponsored push-ups. The first time was about 15 years ago (when I was 15 years younger too!) and I did 500. Sometime later I did 675 for a charity that cares for our oceans. Then finally, for WLT, I managed 1,000 in two hours. 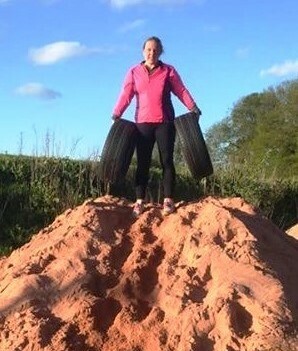 That was the toughest physical challenge I have ever faced. It’s not necessarily the 1,000 on the day that hurt, it’s the 30,000 that you have to do before hand to get in shape for the event! I will be sticking to less energetic ways to raise funds in the future. Dyeing my hair forest green for a month seemed an easier option, particularly in view of the generous sponsorship of Cameron Hosken and John Richards’ hairdressers in Allington, Maidstone, Kent. And after this challenge? I reckon I could just about manage a sponsored cake eating or the world’s longest lay-in. The work of the World Land Trust is important to all of us. Through its conservation projects, WLT makes such a difference to the natural world, to endangered species, to indigenous people – and to future generations. Let us not wish upon them a world disfigured by greed, corruption, over-population and ignorance. 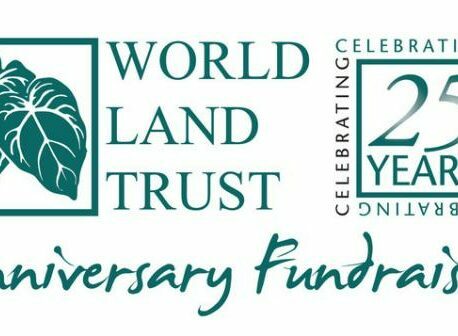 By making a sponsorship donation today, you can help World Land Trust rescue more tropical rainforest. Please give generously. Steve is a member of a special group of Anniversary Fundraisers, individual supporters who are raising funds for WLT during its 25th Anniversary year (May 2014 to May 2015). By raising £1,000 earlier in the anniversary year for his sponsored pushup, Steve has received a special fundraising certificate signed by WLT Patron Sir David Attenborough.